STEM activities are always fun! Plus I love changing up how we use something. One of our favorite sensory activities to use is water beads. This whole activity came about because one morning my kids asked what else water beads could absorb into them. They asked about oil and I said maybe not. Then they asked about vinegar. I said maybe. Curious minds wanted to know more and if it works. And I was not about to say no. This was really simple and easy to do. Plus this became more about what will happen that expecting something grand. The basic will water bead adsorb vinegar became a lot more than we had planned. This is a fun idea about exploring something you use all the time differently. The first thing we did was put two colors of beads into vases. Then we put in the vinegar. We learned a few things. The vinegar allowed the color to bleed out from the beads and colored the water. They did not get as big as they would with water. After the beads were as full as they were going to get we washed them off with water to get rid of any vinegar on the outside. Then I put them in bowls to use in the next experiment. We put two cookie cutters in the small paint tray. We did hearts since we did this around Valentines. The first experiment we put water beads in the one cookie cutter. This was to see how long it would take for the baking soda to fizz. Then we put the baking soda on. it took a second but it did fizz. Not a huge but small and kept fizzing over time. The second activity we did was to put baking soda in first. We filled the cookie cutter half full of baking soda. Then we put the water beads on top and covered the baking soda. We had small fizz at first and a little more. It was interesting to see how the vinegar would leave the water beads and interact with the baking soda. We let out experiment set out over the day. You would here is suddenly fizz as you walked by it. It was amazing to see the changes and heart the fizzing. After a few hours, we took the cookie cutter off the one with the baking soda on the bottom. The baking soda was wet all the way through. It would still bubble up every now and then. Plus it held the shape! On the one with the baking soda on top, we noticed that the pink color was all the way through the baking soda. One then we did the next day was add water to it and saw it bubbles up fast. 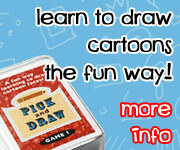 You never know what fun activity you can do that is fun and lets you learn new and different things! This entry was posted in science and tagged baking soda, simple science, STEM, vinegar. Bookmark the permalink.